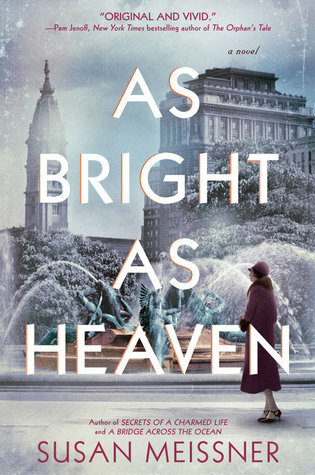 Goodreads: In 1918, Philadelphia was a city teeming with promise. Even as its young men went off to fight in the Great War, there were opportunities for a fresh start on its cobblestone streets. Into this bustling town, came Pauline Bright and her husband, filled with hope that they could now give their three daughters—Evelyn, Maggie, and Willa—a chance at a better life. Kritters Thoughts: It is 1918 Philadelphia and this family moves from the country to the city for an opportunity that could change their life greatly for the better. They will become the local undertaker and operate and live in a funeral home. With three daughters and a recently deceased baby son, this family is in need of a change of scenery. One of the things that made me adore this book was that all three sisters and the mother narrated this book. Divided in small chapters, even the youngest was given an opportunity to tell the story from her point of view. I love when there are multiple narrators, but taking it to the next level and giving space to a young child was just fun. A thing that I love about historical fiction books is when I learn something new without reading a text book and this one checked the box completely! I didn't know about the flu epidemic and to read about how it impacted families who are already being impacted by the war made it feel even more devastating. I am a fan of Susan Meissner and will now basically read anything she writes, don't need to know time or place, I will be ready for her next book to come my way!